M&A activity is rife in the medtech sector. Deborah Douglas, is managing director of the Douglas Group, a merger and acquisition firm focused on the sale of middle market companies. She explains how the union of two companies can often lead to increased business value. The range of buyers for companies with plastic product expertise in medical markets of today continues to grow exponentially, as medical uses expand. Mergers and acquisitions (M&A) advisors commonly talk of the potential for great business combinations where the sum of the parts becomes greater, with the combination (1+1=3). This article will highlight a handful of such expansion directions possible and will talk about value-building exercises to create enhanced opportunities for the growth-oriented plastics manufacturer to significantly boost business value in the years to come. Markets for medical plastics in 2017 and beyond are broader than ever. One of the first highly-visible fronts for plastics in the world of medicine was the use of disposable products. Products from bandages to disposable containers to more sophisticated metal-replacement devices, have flourished and expanded steadily for the past half-decade. Also, sophisticated enhancements in recent years to add impact resistance or nano-reinforcements, which create added strength, allow for widening specialty uses. Companies of today grow naturally as expanded uses are identified – just as medical catheters have expanded from a dozen suppliers back in 1960 to hundreds today. However, there are even more expansive changes coming for the future as companies combine medical plastics expertise with other production capabilities. For example, plastic manufacturers sometimes find it effective to combine with material producers, particularly in the high tech world of medical products. Berry Plastics combined with Avintiv late in 2015. The company’s capabilities together with Avintiv’s expertise in specialty materials may prove to be a significant game-changer for the future. This combination, in its first year of operations, is exceeding its past EBITDA (Earnings Before Interest, Taxes, Depreciation, and Amortisation) already – which was already in excess of 17% of sales! And positioning for the future is strengthened by possibilities of continued product expansion, as a result. Growth through acquisitions in the medical sector happens at all levels – not just the billion-dollar-plus size ranges. In March of 2016, Johnson Precision was acquired by MRPC. Johnson made custom injection moulded products for medical use. MRPC produces silicon-based medical devices and supplies. The enhanced range of product builds strength for the future, with higher barriers to entry for competitors, and longer life cycles for product. Geographic diversity also lends power in this second-tier size range of acquisitions. Often the truly spectacular M&A coups are born of the more creative combinations of resources. This is probably truer in the medical sector than almost any other industry today. As solutions are developed they often integrate wider ranges of technology. In today’s healthcare environment, solutions may involve complex biocompatible materials or elaborate antimicrobial components in the design. Medical devices may utilise complex electronic elements or other sophisticated mechanical devices integral to product function. As developing medical product manufacturers evolve what can they do to build potentially saleable value for the future? Those companies that add new technical capabilities may be building extraordinarily valuable foundations for the future. When customers wish to explore solutions to evolving problems, opportunities result. While it may require some diversion of resources and some time commitments from top engineering talent, the broadened base of expertise will often pay for itself many times over, with passage of even just a few years’ time for new capabilities to become recognised and appreciated. Also, talented technical people love the challenge and appreciate the potential for their personal development. New sales channels can often be enhanced by connections made at trade shows and industry events. Although participation may be somewhat costly, contacts by attendees who talk of their specific problems and developmental opportunities can be precious as introductions for next phase products to come. Measurement of profitability by product segment can be precious when seeking new capital or contemplating sale. Gross margin data by product, by customer, by geographic region, and/ or by technology can add substantive value to contemplated transactions. It pays to nurture and develop management talent. As companies grow, their speed of development and their potential for competitive advantage is influenced more powerfully by the calibre of management and technical talent than by probably any other single factor. Investment in strong talent always pays dividends in value of the employing company. Within the world of medical products, reputation within the industry is precious. It pays to build a reputation for niche expertise. Articles in trade publications, recognition at technical events and any published recognition of technical coups have significant value. Identification of opportunities, where new technical capabilities may be evolving, can be a valuable source of new customer potential, and thus of growth potential. Be it listings of evolving providers of niche products, data on material consumed by segment, or forecasts of growth to come, such information adds power to plans for the future. Collection and analysis of strategic potential information is valuable both for sales and management staff today, and for value analysis for the future. One of the healthiest exercises we have seen commonly used by growing and changing companies, involves classic SWOT analysis. This examination of strengths, weaknesses, opportunities, and threats is a healthy and wholesome exercise and of particular value in a fast-moving and changing environment, like medical plastics. Later, when value is solid and it is time to court potential buyers or investors, a good chunk of ‘how to’ in order to be successful, lies in considering potential partners in a full circle – with a 360 degree look at who might fit. The best buyers are seldom the obvious. The best usually come from companies who do something UNLIKE what you do. The company that will benefit the most from the addition of yours, is the company which doesn’t have what you bring to the table. Hence the acquisition of the medical product company by the interconnect giant or the addition of the plastics manufacturer by a resin developer. In scoping out who ideal prospects may be, there are several possible directions in order to try to get that full 360 degree view that will prove valuable. Suppliers of specialty resins or other medically-oriented material components or enhancements, can sometimes benefit disproportionally from an added capability to make the plastic products their materials may enhance. Mould-makers with good medical connections and relationships may have a ready ‘in’ to great new medical customers and may benefit from adding the capability for the next phase of production process to their range of product possibilities. Sometimes the sheet product manufacturer or the injection moulder or the thermoformer with strong customer penetration may find themselves with unusually solid access to customers who need other services that they may add through acquisition. Companies with strong medical product focus or concentration are often highly desired by companies that do similar types of production but don’t have (although they do want) medical customers. Sometimes such suitors are willing to pay disproportionately for the potential for access to medical markets. The astute manager of a business will keep his eyes peeled, creatively and thoughtfully, looking at the full breadth of who might benefit most from investment in his company’s future. Great acquisitions come from visionary combinations. Owner wealth and management growth are nurtured by the resulting combinations. 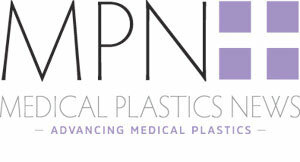 There are many possibilities in the world of medical plastics, and the prognosis continues to be strong for the future.